December brings cooler weather and with that comes wintering migratory birds just in time for the start of the second phase of waterfowl and coot season and the third phase of mourning and white-winged dove. 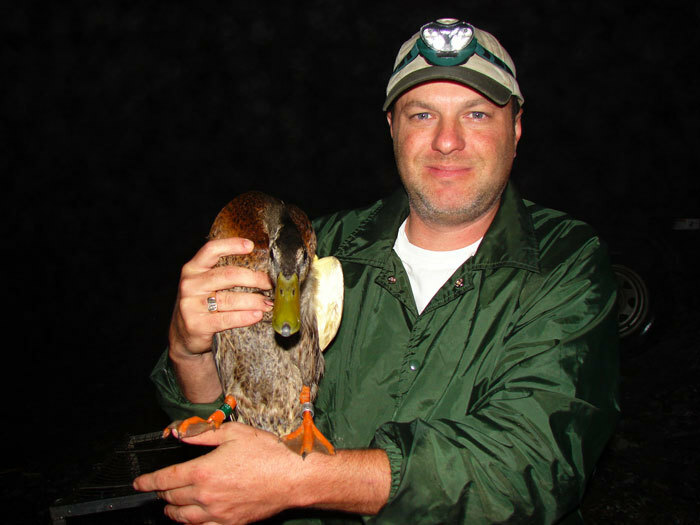 FWC Waterfowl and Small Game Program coordinator Andrew Fanning with a female mallard he banded in Manitoba, Canada as part of a cooperative banding program. The U.S. Fish and Wildlife Service puts out an annual waterfowl population status report that provides information on breeding population and habitat conditions, production data, and pond counts for most North American duck, goose and swan species. “Breeding population estimates from this report and harvest data from the previous hunting season are used to determine season lengths and bag limits for the next year,” Fanning said. Management decisions are ultimately made at the federal level, with input from Florida, 16 other states and six Canadian provinces as part of the Atlantic Flyway Council. “The whole process is a great example of state-federal cooperation in managing migratory bird species we all share,” Fanning said. Or, you may opt to get a Lifetime Sportsman’s License. This license allows you to hunt and fish in Florida for the rest of your life, even if you move away. It’s also a great holiday gift idea for family members who appreciate the outdoors. All licenses and permits you’ll need are available online at GoOutdoorsFlorida.com, at county tax collectors’ offices or license agents, or by calling 888-HUNT-FLORIDA (888-486-8356). The second phase of the waterfowl and coot season comes in statewide Dec. 8 and runs through Jan. 27. In addition to previously mentioned license and permit requirements, duck hunters also must get a Florida waterfowl permit ($5) and a federal duck stamp. The daily bag limit on ducks is six, but you need to know your ducks before heading afield because there are different daily limits for some species. For instance, within the six-bird limit there may be only one mottled duck and one fulvous whistling-duck. Only two of your six-bird limit may be canvasbacks, black ducks, scaup, pintails or redheads; and three may be wood ducks. And you may have no more than four scoters, four eiders, four long-tailed ducks and four mallards (of which only two may be female) in your bag. All other species of ducks may be taken up to the six-bird limit, except harlequin ducks. It is prohibited to take harlequin ducks. You also may take light geese statewide during the waterfowl and coot season (Dec. 8 – Jan. 27), which includes the taking of snow, blue and Ross’s geese. There’s a 15-bird daily bag limit on any combination of these geese. When hunting ducks, geese or coots, hunters may use only nontoxic shot. No lead shot may be used or even be in your possession – only iron (steel), bismuth-tin and various tungsten alloys are permissible. And in the Tallahassee area, waterfowl hunters need to be aware of special regulations – Wednesday/Saturday/Sunday-only hunting, outboard motor restrictions, and a prohibition against hunting from permanent duck blinds. Go to MyFWC.com/Hunting/Regulations/Birds and read the sections on “Limited hunting days” and “Special regulations for Leon County and Lake Miccosukee” for more details. 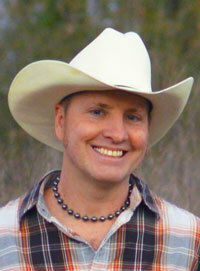 Check out the FWC’s Guide to Waterfowl Hunting in Florida at MyFWC.com/Duck. It’s a valuable tool for beginning waterfowl hunters, but experienced waterfowlers will appreciate it, too. It lists public duck hunting areas, illustrates several decoy placement setups, gives scouting and hunting tips, and provides outstanding duck identification photos of most duck species you’re likely to see in Florida. The third phase of the mourning and white-winged dove season runs Dec. 19 through Jan. 31. The daily bag limit is 15. Check out the FWC’s dove hunting webpage at MyFWC.com/Dove, which offers dove hunting tips and harvest and field conditions for all FWC-managed dove fields. Shooting hours for waterfowl and coot season, and during the last phase of dove season, are one-half hour before sunrise to sunset. The only firearm you’re allowed to hunt migratory game birds with is a shotgun, although you’re not permitted to use one larger than 10-gauge. Shotguns also must be plugged to a three-shell capacity (magazine and chamber combined). Retrievers and bird dogs may be used when hunting migratory game birds. Artificial decoys and manual or mouth-operated bird calls also are legal gear for duck hunters. Birds of prey may even be used to take migratory birds by properly-permitted falconers. You may hunt doves over an agricultural field as long as the grain has been distributed or scattered solely as a result of a normal agricultural operation. However, you’re not allowed to introduce grain or other feed over an area for the purpose of luring birds. Baiting rules are even more restrictive for ducks, geese and coots. You cannot legally hunt waterfowl over manipulated agricultural crops except after the field has been subject to a normal harvest and removal of grain. However, you may hunt waterfowl in fields or flooded fields of unharvested standing crops. On lakes and rivers, feed – such as corn or wheat, may not be used to attract birds, even if the bait is quite a distance from where you’re hunting. And it doesn’t matter if you aren’t the one who scattered the bait. If you knew or should have known bait was present, you’re breaking the law. Some other things you may not do while hunting migratory game birds include using live decoys, recorded bird calls or sounds, and electrically amplified bird-call imitations. Shooting from a moving automobile or boat and herding or driving birds with vehicles or vessels also are against the law. Whether shooting ducks on the pond with your favorite lab or dove hunting with friends and family – December has you covered. Here’s wishing you happy holidays and a successful hunting season. If you can, remember to introduce someone new to hunting. As always, have fun, hunt safely and ethically, and we’ll talk at you next year.